What else is going on in Greece these days? Did you guess: a major crackdown on Greek file sharing sites? On this subject, I’m very pleased to publish a guest essay by Dr. Petros Petridis of Panteio University in Athens. According to the major copyright industry groups, Greece has among the highest rates of “piracy” in the European Union. The Business Software Alliance recently put this number at 61% of the software market—exceeded only by Romania and Bulgaria. The IFPI listed Greece in its top ten ‘priority countries’ for music piracy in 2006. The US Trade Representative’s office has kept Greece on its “Watchlist” of badly behaving countries since 2008. It is easy to see file sharing through the lens of the larger Greek crisis—as part of the wider breakdown and circumvention of formal institutions. But the file sharing story in Greece is both simpler and more complicated than that. Simpler because, as in other high-piracy countries, there are powerful economic factors at work: low salaries and high prices have been drivers of Greek file sharing for over a decade. The explosion of unemployment and broad-based salary cuts since 2008 sharpened this logic, pushing more Greeks toward ‘free’ alternatives. And more complicated because file sharing is not reducible to economics. File sharing—and P2P networks in particular—are part of a much larger emergent culture of creativity and innovation, encompassing both new cultural goods and new techniques of production. This culture has Greek variations but also plays out on a much larger global stage. 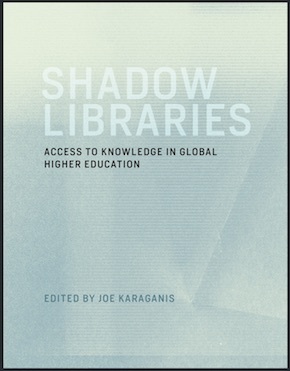 My work—which involved interviews with file sharers as part of a dissertation in Social Anthropology—has focused on the strong non-economic undercurrent to participation in file sharing networks, ranging from the greater sense of agency and freedom they provided in an expanding cultural universe to their role as a perceived alternative to the ongoing Greek delegitimation of most social and political institutions. Freedom of expression, freedom to communicate, access to knowledge and information, excitement at the rediscovery and “rebirth” of old and rare works… All have figured as important motives for engagement with P2P networks. So too do perceptions of the lack of formal infrastructure and institutions for supporting cultural creativity; the successive shrinking of the welfare state; and the ongoing political crisis, shaped by scandals, nepotism and patronage relations. Within this context, P2P networks represent a form of self-organization and reconfiguration of social life outside established channels that has proved both valuable and—for some—inspirational in the context of the larger Greek crisis. P2P networks have played a part in the growth of an alternative public sphere because they are—in an important sense—not new. Rather, they are the current platforms for social and sharing networks that date back at least a decade. Greek file sharing chat rooms (on Soul Seek) and hubs (mainly via the DC++ client) emerged in the early 2000s. The “big bang” of Greek P2P use took place in the middle of the decade with the establishment of the first Greek BitTorrent trackers—just in time for the larger meltdown of trust in state institutions. Several groups and individuals played central roles in cultivating the connections between P2P use and wider forms of political protest. In 2006, the Underground Free University of Athens (ufu.gr) offered a class called “Viruses, P2P Networks and Digital Disobedience”. Open access and an accompanying critique of the copyright system began to circulate widely in this period—fueled in part by Greek government decisions to limit access to the new digital archive of the public television channel, ERT (www.ert-archives.gr). The ERT archive allowed streaming but not downloading (without a separate license)—thereby cutting the archive off from the emerging grassroots audio-visual culture built on transformative use. For many critics, the model amounted to asking Greek citizens to pay a second time for use of public material. It was also a signal that Greece would be a conservative player in digital media policy, continuing to privilege broadcast models and state gatekeepers. Greek P2P networks grew, in part, through opposition to this statist approach to Greek audio-visual culture. Although Greeks participate widely in international P2P networks, there are many Greek P2P communities organized around Greek language trackers. While many young Greeks are comfortable with dominant English-language P2P networks, Greek language P2P sites lowered this barrier further and proved very popular. They also attracted members of the Greek diaspora looking for means to connect to Greek communities and, especially, to Greek-language media, which usually lacks international distribution. The majority of these sites operate as private trackers, requiring registration and (at least in principle) the maintenance of upload to download ratios that ensure broad-based participation in the network. Several of these sites operate through donations and in some cases (e.g. 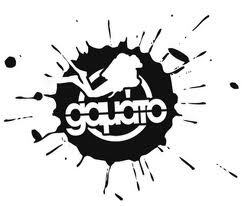 the now-defunct Gamato.info) sale of merchandise like t-shirts. The scope of these practices is a sensitive issue in the Greek (and wider international) P2P community. Some trackers maintain a strict non-commercial ethos while others—especially those large enough to require substantial infrastructure—adopt a variety of policies and strategies to maintain operations, from donations to advertising. As elsewhere, the latter strategies make networks more vulnerable to enforcement. Like other European implementations of the Berne Convention on Copyright, Greek copyright law (2121/93) recognizes two sets of intellectual rights: rights of economic exploitation and moral rights, the latter of which privilege the connection between the author and the work. In my interviews, file sharers routinely discounted the value of economic rights for digital works. They rejected the equivalence of copying and theft and the argument that copying displaces sales. And they asserted the general injustice of high media prices. 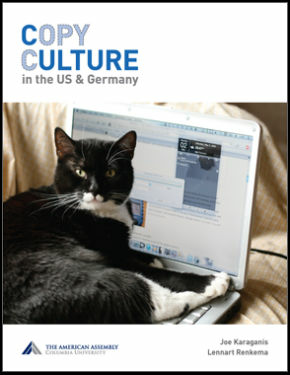 Moral rights, in contrast, were highly valued by file sharers and are widely protected within file sharing networks. In private trackers, it is taken for granted that an uploaded archive must be accompanied by detailed metadata, including authors’ names, the production company, the release date, links to trailers via YouTube, Vimeo or other similar platforms, snapshots, and so on. In many cases, these descriptions are more thorough than other sources of information on the Web, such as the IMDB for film. These moral rights extend to the acts of preparation and circulation of copied materials. Uploaders are regarded as authors of the digitized versions, with authorship derived from the cost, skill, and risk associated with making high-quality new materials available. Competition between groups results in rapid improvements in audio and video quality and—especially—subtitling. As in many other small linguistic communities, subtitling is one of the primary activities of Greek P2P networks. Subtitling has a long history in Greece. With the exception of some soap operas and anime, almost no foreign media is dubbed. Everything is subtitled. P2P networks began to specialize in this area because of the chronic weaknesses of official subtitling. It is famously slow, has limited repertoire, and is sometimes of low quality. All of these problems proved to be addressable by dedicated amateurs. Because this role was largely confined to Greek groups, operating in Greece, subtitling also became one of the first targets of Greek enforcement. In 2008, the EPOE (The Society for the Protection of Audiovisual Works) began to target Greek subtitling sites—initially through warning letters and other extrajudicial measures. Although several of them shut down when faced with these threats (greeksubs.com, subs4you.gr, greektvsubs.gr, subtitles.gr), the effect was temporary, and most soon returned online. The EPOE actions marked the beginning of a shift in strategy. Previously, the intellectual property societies had focused mostly on anti-piracy education promoted through spots and trailers. These spots were localizations of the messaging strategies of international anti-piracy groups, and engaged in familiar rhetoric such as equating downloading with the theft of a car or handbag. As the economic crisis worsened and the government declared the state of emergency (known as the Crisis), implementation of this strategy shifted into higher gear. In December 2009, Greek-fun.com, a forum that was offering links to file-hosting services was taken down by the Greek Cyber Crime Unit and two individuals (alleged administrators) were arrested. EPOE claimed that the forum had 285,000 registered members and 14,000 links to audio-visual works, which they claimed had been downloaded 200,000 times. (They estimated that 5,550 of these belonged to EPOE’s members and that these had been downloaded 90,000 times). Total losses were estimated at 1,800,000 euros, or 9 euros per download! Three months later, Gamato.info, the most popular Greek tracker (according to official announcements, it had 850,000 accounts and 16,000,000 (!) daily visits) was also permanently shut down. Six people (moderators, administrators, VIPs) were arrested. Twenty-nine hard discs and 604 DVDs were confiscated from their houses. The first arrests for file sharing in Greece were followed by demonstrations organized by Gamato.info users, with requests for the immediate release of the accused individuals and the re-opening of the network. Members of the “Cinematic Team of Topographers and Agronomists of Aristotelian University of Thessaloniki” handed out flyers with the statement “Thieves remove. Pirates copy.” Other participants talked to the mass media. For the first time, the mass media jumped into the debate, almost always to fuel the moral panic around file sharing. After a second police raid in early 2011, several other trackers, forums and online streaming sites closed down, including Greek-tracker.com, steki.gr (one individual arrested), and thegreekz.com (five people were arrested and receipts for 230,000 euros, allegedly earned by commercial banners ads, were confiscated). But the most notable enforcement cases in 2011 were the targeting of two index sites (not P2P trackers) that provided links to YouTube, the official web sites of Greek TV networks, and other sites that provide information about movies (not the movies themselves). The collecting society AEPI (Hellenic Society for the Protection of Intellectual Property, www.aepi.gr) charged that these sites made intellectual works of its members publicly accessible through hyperlinks—something that was both undeniably true and undeniably legal. The owner of tainies.org was also arrested, while the owner of livemovies.gr went on to sue AEPI. The move was widely viewed as an ignorant power grab—an effort to make linking even to legal sources part of a permission regime. Mostly what it accomplished was to make AEPI seem greedy, corrupt, and totally out of touch. It is also in this context that awareness of and vocal opposition to the Anti-Counterfeiting Trade Agreement (ACTA) began to emerge. The Digital Liberation Network of Greece (dln.gr) and other groups launched efforts to raise awareness about ACTA—starting basically from zero. An important moment, in this context, was the hacking attack on the Ministry of Justice by a Greek branch of Anonymous, in early 2012. In a video posted on the Ministry of Justice site during the hack, ACTA was associated with a wider socio-political critique of austerity measures, failing democracy, constitutional circumvention, the expansion of social controls, and the erosion of privacy. In the same period, demonstrations in several cities against ACTA were organized by the recently formed Pirate Party of Greece. Nonetheless, the agreement was signed by the Greek government through rushed and opaque procedures. There was no public information or dialogue. To the best of my knowledge, no politicians, official TV networks and other mainstream media ever mentioned ACTA. Nor was there any indication of deliberation or study of the agreement by those who signed it. This is not a huge surprise in a country where legislators can publicly admit to not reading the “Memorandum”—the enormously controversial document that implemented the worst of the austerity measures. But it contributed to a credibility gap around ACTA that began to attract public attention and opposition. 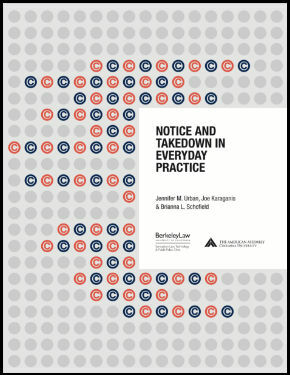 Spring 2012 has seen a further ramping up of enforcement efforts. Greekddl.com, a forum that linked heavily to Megaupload was taken down (in the wake of the Megaupload take down, this was probably no coincidence). Two people were arrested (one of them a well-known Greek book editor). According to some articles, the greekddl.com was providing links to online casinos and enjoying percentages from the profits. 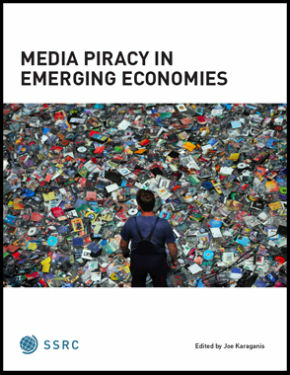 By all evidence, money-making sites remain the main target of anti-piracy organizations, reflecting the greater responsibilities of the state in regard to the criminal sanctions applicable in cases of “commercial-scale” copyright infringement. Police and enforcement groups regularly emphasize the scale of donations, advertising revenues, and of course traffic numbers. Many of these claims strain credulity. Gamato.info was alleged to have 16,000,000 daily visits in 2010–an impressive number in a country of eleven million! All the usual concerns about rights holder group transparency and loss claims also apply here. AEPI has a poor record of management and transparency with respect to its own membership and collection practices, and should not be given the benefit of the doubt in its claims. There is no official explanation of how AEPI calculates losses, though by all appearances the numbers reflect discredited assumptions about direct substitution of pirated copies for ticket prices or sales. There is no public information about the alleged profits, such as the receipts for 230,000 euros allegedly earned by banners advertisements. Instead, a pattern of enforcement has emerged: startling accusations, a police raid, arrests, confiscation, manipulated and partial information about the findings, and an emphasis on illicit gains. Although it is difficult to convince Greeks that downloading resembles car theft, it is relatively easy to connect rights holder claims about file sharing losses to the larger rhetoric surrounding the crisis—especially via assertions that organizers of these sites are getting rich while others are starving, and that the public sector loses money through tax evasion. As with the war on terror or the war on drugs in the US, this piggybacking of IP enforcement on broader social crises is dangerous and counterproductive. In the case of Greece, it is a true suckers’ game: strengthening IP enforcement increases the outflow of royalty and licensing payments to foreign rights holders. The worsening economic situation, in turn, amplifies file sharing. There are tragic ironies here: the internal devaluation strategy championed by European leaders like Olli Rehn envisions reducing Greece to an economic level comparable to Bulgaria or Romania—the only two countries in the EU with higher piracy rates. The “free” media culture that has emerged in the past decade has some resemblance to the wider crisis of formal institutions in Greece, but it is not the same crisis and does not have the same (discredited) solutions. Above all, it should not be used as an excuse to divert scarce resources to propping up declining media models. There is no money in it.